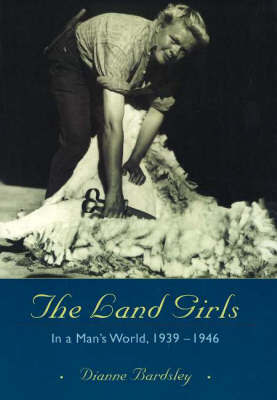 Drawing on interviews with women who served as land girls during World War II, this book relates a chapter in New Zealand's war experience. It shows that like their Rosie the Riveter sisters, these Women's Land Service recruits gained independence, little recognition, and discont... read full description below. World War, 1939-1945 - Women - New Zealand., World War, 1939-1945 - War work - New Zealand., Women in agriculture - New Zealand. Drawing on interviews with 220 women who served as land girls during World War II, Bardsley (a Ph.D. candidate) relates an under-documented chapter in New Zealand's war experience. Like their Rosie the Riveter sisters, these Women's Land Service recruits gained independence, little recognition, and discontent about giving up their farm jobs when the soldiers came home. It is well-illustrated with recruiting posters and women engaged in farm labour. Dianne Bardsley is Director of the New Zealand Dictionary Centre at Victoria University of Wellington, working as a researcher and lexicographer within the School of Linguistics and Applied Languages.